Welcome to The Timken Store! We've been hard at work over at the new Timken Store and are wondering why you haven't joined us. NEW - Carlisle® Belts by Timken! A full offering of premium quality industrial power transmission belts is now available including V-belts, synchronous belts, banded and specialty belts as well as sheaves, sprockets and bushings. The new Timken Store is here! 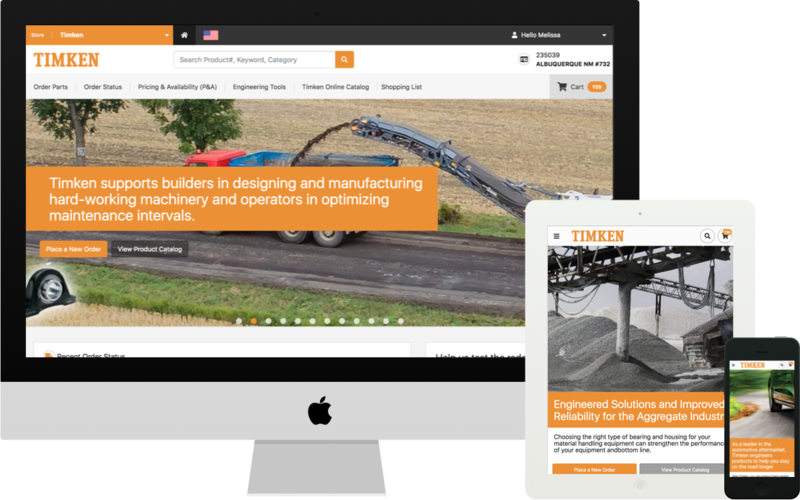 The new Timken Store is live and will be enabled automatically in October. Turn it on now so you can get used to it before the old site is turned off. A "Return to the Old Site" button is available on the new site. Yes, proceed to the new Timken Store!